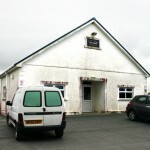 DIHEWYD VILLAGE HALL IS LOCATED APPROXIMATELY 100 METRES FROM THE 'SQUARE' ON THE CLASS Cll07 ROAD. AFTER PASSING THE CHAPEL ON THE RIGHT HAND SIDE OF THE ROAD, ANOTHER THREE PROPERTIES ON THE LEFT, THE HALL IS THEN SITUATED ADJOINING THE PLAYING FIELD ALONGSIDE THE CHAIN LINKED FENCE ON THE LEFT HAND SIDE OF THE ROAD. DIHEWYD VILLAGE HALL WAS ESTABLISHED OVER 50 YEARS AGO AND IS AN IMPORTANT CENTRE FOR PROMOTING LOCAL COMMUNITY LIFE. THE BUILDING WAS EXTENDED AND RENOVATED IN 2000 AND THE VILLAGE HALL PLAYS AN IMPORTANT ROLE IN THE COMMUNITY OF DIHEWYD WITH THE YFC, WI, SENIOR CITIZENS, YOUTH CLUB AND LOCAL PRIMARY SCHOOL USING IT. THE HALL IS ALSO USED BY DIFFERENT GROUPS AND ASSOCIATIONS AND GATHERINGS AS NEEDED. EXTERNALLY - ADJOINING THE HALL THERE IS A PLAYING FIELD WITH A FULL SIZED FOOTBALL PITCH MARKED OUT, AND CROQUET HAS ALSO BEEN PLAYED THERE, ALSO ALONG SIDE THE HEDGE AN EXTRA HARD STANDING AREA FOR PARKING CARS. JANUARY:- ANNUAL EISTEDDFOD FEBRUARY:- SHROVE TUESDAY WHIST DRIVE, ST VITALIS CHURCH MARCH:- CAWL, BETHLEHAM CHAPEL AND ST VITALIS CHURCH MARCH:- ANNUAL BRING AND BUY AND ENTERTAINMENT JULY:- ANNUAL CARNIVAL AND SPORTS SEPTEMBER:- BINGO, ST VITALIS CHURCH NOVEMBER:- CHRISTMAS FAYRE DECEMBER:- PRIMARY SCHOOL CHRISTMAS SHOW/CONCERT .